In close communities, people often look out for each other. Neighbours can report suspicious activity at your home and help when you’re away – and you can return the favour. Let trusted neighbours or friends know your travel plans so they can deal with any emergencies. Perhaps they can park their car in your driveway, take out your bins or mow your lawn so it looks like someone is still at home. Its a good idea to leave your house keys with trustworthy friends or family so that they can conduct regular check-ups on your property. This way you can relax and enjoy your holiday with peace of mind knowing for sure that everything back home is ok. Nothing advertises an empty house better than an overflowing mailbox. Organise family, friends or neighbours to collect your mail to prevent letters from piling up. If that is not possible consider a short-term mail redirect through Australia Post or ask the post office to hold it until you return. Also, attach a ‘no advertising material’ sign to your letterbox so it doesn’t overflow and cancel your regular newspaper delivery. This is a dead giveaway that you’re not home. If your rubbish is visible from street view, it’s also a visual cue to thieves if everyone else’s bins are out and empty in the neighbourhood and yours is stuffed to the brim and still in the drive, that you’re most likely not at home. If you are leaving before bin collection day ask a friend or neighbour to put your bin our for you – this will also save you coming home to the horrible smell of rotting food!! You should remember to pay your bills in advance – particularly the electricity – so that your alarm system and other electricity-reliant preventative security measures will have power during your absence. If you’ll be away for a long period of time, consider turning off your home’s water supply at the mains to prevent the risk of leaks. Make sure your electrical appliances are not left on stand-by. Unplugging things like your TV and computers will protect them from power surges, and save you power as well. I would like to receive emails about OzShut news, events, promotions & competitions. Consider also setting a timer on a radio or TV so that it switches on and off at a specified time. 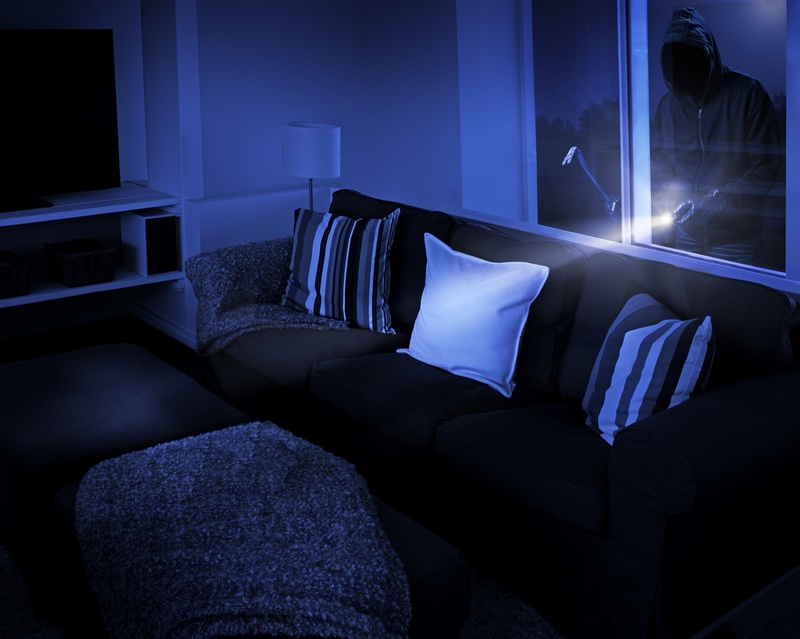 As with the lights on timers, it may trick the casual observer into thinking that the residents are at home. Leave a pair of your old shoes at the front door and at the back door. This will create the feeling that someone is inside. If someone was to look through a window, it’s a good idea to leave a few things scattered around that make the home look lived in. Nothing looks more like you’ve gone away than an immaculate place, so leave an open book and a pair of glasses on the arm of a chair or a few toys in the middle of the floor. Naturally it’s important to have the entry points to your home secured appropriately. But it’s just as important to double check and make sure all those entry points are actually closed and the locks fastened. It’s often a rush of last minute organisation when you are leaving on a trip and one idea is to lock everything up the night prior to departure, particularly if you are leaving early in the morning. This will make your departure easier and ensure that you don’t accidentally leave your home unsecured and vulnerable. Turn off your garage door opener and ensure the door between your garage and your home is locked. As much as you might be excited about your upcoming holiday, avoid discussing your travel plans on social platforms such as Facebook, Instagram & Twitter. And while it’s nice to share pictures with friends, be conscious of your social media activity while you’re away, wait to post photos from your trip until you get home. Consider increasing your home security. If you already have an alarm system, don’t forget to switch it on before you leave and make sure the person looking after your property knows how to turn it off and back on. Making arrangements to have your alarm monitored will provide you with 24 hour protection while you are away. As the main entry points for a home burglar are through an easy to access door or window, ensuring you have good quality deadlocks on your doors and adequate window security will make your home less appealing for any thief who is always looking for a fast and easy entry/exit. Especially if you are travelling soon after Christmas don’t leave expensive new items in clear view of would be burglars peering through windows or doors! Break up the packaging before tucking it into the bin or recycling. Also, take a look at your house from the outside. With most thieves looking for cash, even a wallet or iPod left on your hall table can make your home a target. Easy to carry, valuable items such as money and jewellery are most often stolen in break-ins. Installing a small safe in your home is a relatively low cost way to protect those items. Police also advise making a detailed inventory of all your valuable property so that in the unfortunate event that it is stolen, it is easily identifiable. This may involve photographing, marking or engraving the items with a traceable number such as your driver licence number or a special code that only you know. The act of doing so may prevent others from identifying your property as theirs. With some pre-thought and planning you can use some or ALL of these ideas to help make your trip away from home worry free. But of course the best security measure is one that will PREVENT a burglar from being able to enter your home not just deter them. 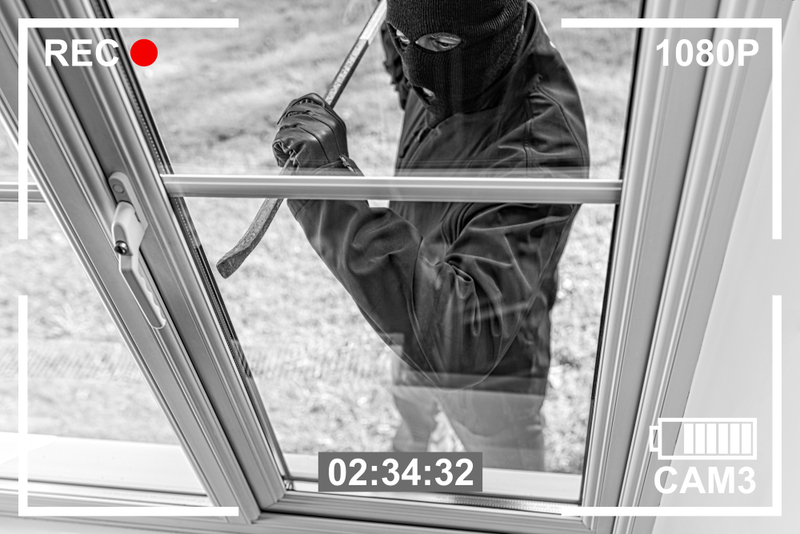 Most home break-ins happen through a door or window, whether left open or simply smashed through. OzShut Roller Shutters are the preferred choice in home security as they cover the entire window or door completing preventing access to it. For more detailed information on Roller Shutters visit our product information page here. Wishing you safe and happy travels! Stay up to date with OzShut’s latest news, events, promotions and competitions by subscribing to our email list. References https://www.budgetdirect.com.au/blog/how-to-secure-your-home-when-going-away-for-christmas.html . . https://rac.com.au/home-life/info/before-you-travel-home-security-checklist .